Nu Skin ageLOC Galvanic Spa Reviews : Does It Really Work As Promised? What is Nu Skin AgeLOC Galvanic Spa? Nu Skin ageLOC Galvanic Body Spa, is an advanced body contouring system that consists of a handheld massaging device, Nu Skin ageLOC Body Shaping Gel and ageLOC Dermatic Effects Body Contouring Lotion. What is Nu Skin ageLOC Galvanic Body Spa ? What are the Ingredients in Nu Skin ageLOC Galvanic Body Spa ? Dramatically boost your skin’s moisture content, so much so as to plump it, make it denser and create a firmer skin tone. Improve skin circulation, and enhance skin health and elasticity. Nu Skin is a company that uses a direct to consumer marketing strategy that provides business opportunities to product distributors and better access of consumers to products that have “all of the good, none of the bad”. There is no product price mentioned on its official site. What are the Ingredients in Nu Skin AgeLOC Galvanic Spa? Galvanic Body Spa: A small, handheld device that releases powerful vibrations that better incorporates and blends in ageLOC products into your skin, as the vibrating action simultaneously enhances microcirculation directly underneath the product application area. Body Shaping Gel: Aids in the faster metabolism and excretion of unwanted fats while simultaneously working out a contour for affected body parts, giving it a more lifted, firmer and denser appearance.However there is no substantial evidence behind it. Dermatic Effects: The product that will help trap and lock in moisture which should keep your skin comfortably satisfied with the round-the-clock hydration which this product makes possible. How To Apply Nu Skin AgeLOC Galvanic Spa? Use Nu Skin ageLOC Galvanic Body Spa as frequently as you want to throughout the day, ideally following a fresh skin cleanse. Closely follow instructions, including recommended device settings and frequency of application, for every product in the ageLOC line, as stated on the labels and instructional video that comes with every purchase of this kit. During the same treatment period, 85 per cent had firmer arms and abs. Nu Skin Ageloc Galvanic Spa reviews have praised this product for noticeable changes experienced. However there is no substantial evidence is available to prove it is effective. This product seems to have limited accessibility and possibly unavailable in several geographic locations. Nu Skin Ageloc Galvanic Spa reviews may not be the best way to evaluate a buy or no buy decision given the limited number of user reviews available. No substantial evidence is available to prove it is effective. Nu Skin ageLOC Galvanic Body Spa is an innovative approach to restore skin firmness and elasticity. Nevertheless, if you want FDA approved treatments for cellulite reduction, those are available from your skin specialist’s clinic. When it comes to dramatic, tried and tested positive results, the clinic-based treatments simply have a clear track record to show. There is no return policy available on this spa. Cellulite refers to fat deposits under the surface of the skin giving it a dimpled, irregular appearance. The vast majority of women have cellulite, some estimates are as high as 90 percent. Cellulite is routinely found in the thighs, hips, buttocks, and stomach. Unfortunately, maintaining an optimal body weight, eating healthy, staying active, and even regular exercise may not be enough to combat cellulite. 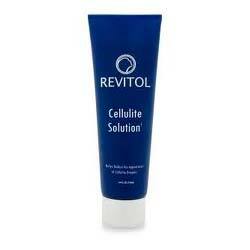 Below you’ll find some of the most effective cellulite cream formulations on the market today, in our opinion. **This is a subjective assessment based on the strength of the available information and our estimation of efficacy. *Results may vary. The information contained in this website is provided for general informational purposes only. No medical claims are implied in this content, and the information herein is not intended be used for self diagnosis or self trealment of any condition. Disclosure of Material Connection: Some of the links in the post above are "associate sales links." This means if you click on the link and purchase an item, we will receive a commission Regardless, we only recommend products or services which we use personally and/or believe will add value to our readers. We are disclosing this in accordance with the Federal Trade Commission's 16 CFR, Part 255: "Guides Concerning the Use of Endorsements and Testimonials."